The Fasano leg ends with the winners of the sections ReeLove and Corti Cortissimi. 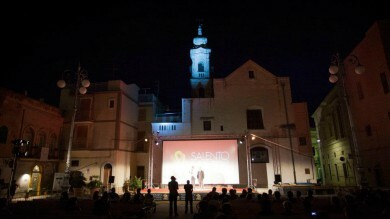 Violante Placido, Natassja Kinski, Ricky Tognazzi and Paolo Conticini were the outstanding guests for the 3rd day of Salento Finibus Terrae at Fasano.The tribute to Ugo Tognazzi opened the evening with the projection of Reelove section shorts: “La principessa del mare” by Paolo Santangelo (Italy), “Perché tu mi piaci” by Davide Mardegan (Italy), “Lagun mina” by José Mari Goenaga (Spain), and “Pothound” by Christopher Guinness(Trinidad, central America). “Love Does Grow on Trees” by Bevan Walsh won as best film, and “Lasciate un messaggio dopo il segnale acustico” by Andrea Monzani won as best direction. But in this section the winner was Gary Nadeau (New York) director of the film “Pizza Verdi”.